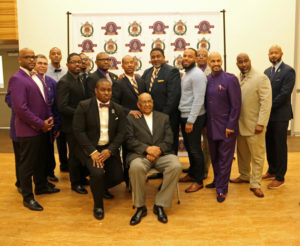 SOCIAL ACTION PROGRAMS | Omega Psi Phi Fraternity,Inc. 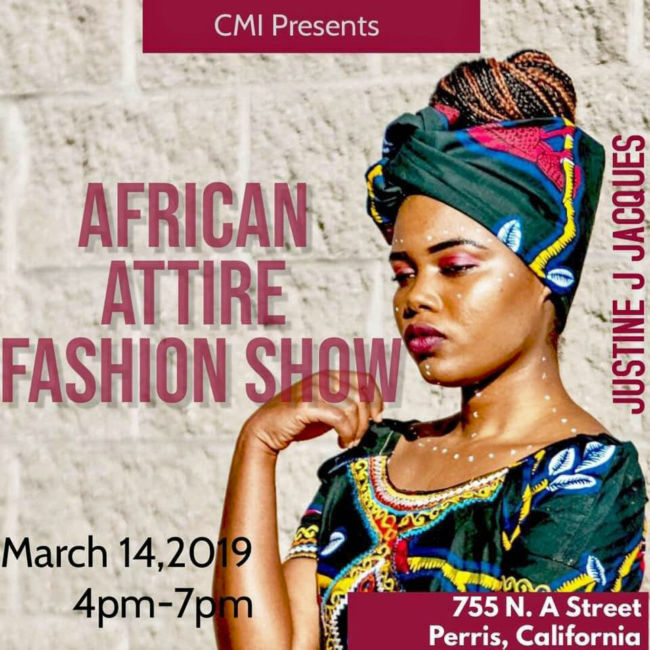 On March 14, 2019, Brothers from Tau Tau Chapter of Omega Psi Fraternity, Inc., supported The AAPAC African Attire Fashion Show, which took place at the “California Military Institute” (CMI), located at 755 North A Street, Perris, Ca 92570. During this event we were asked to provide a brief synopsis of what takes place during OEF, YLC, and our Fatherhood Initiative Programs. The AAPAC works in conjunction with CMI whose mission is to ensure African American student’s success by identifying challenges that impede achievement, while empowering, supporting and serving students, parents, educators, and the community through actionable strategies and solution. AAPAC and CMI have supported Tau Tau Chapter during OEF, YLC, and Fatherhood Initiative Programs. 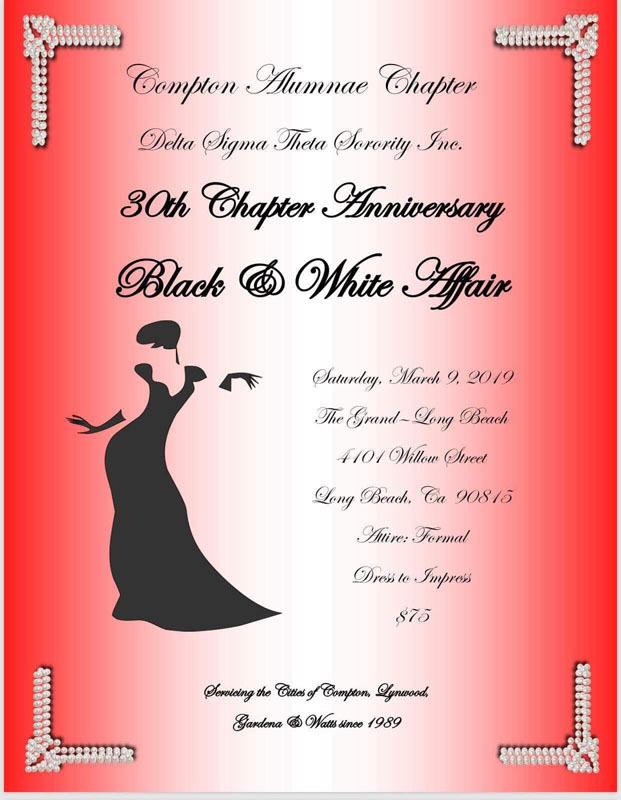 On March 9, 2019, Brothers from Tau Tau Chapter of Omega Psi Phi Fraternity, Inc. supported “Compton Alumnae Chapter of Delta Sigma Theta Sorority, Inc.” This was their “30th Chapter Anniversary Black & White Affair.” This event took place at The Grand Long Beach, located at 4010 Willow Street, Long Beach, CA 90815. 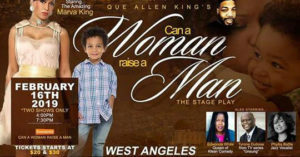 On February 16, 2019, the Brothers from Tau Tau Chapter of Omega Psi Phi Fraternity, Inc. HBCU grads and members of the Divine 9 Community supported playwright Que Allen Kings’ play “Can A Women Raise A Man”, starring the amazing Marva King. This event took place at the West Los Angeles Performing Arts Center, located at 3020 Crenshaw Blvd, Los Angeles, CA 90016. 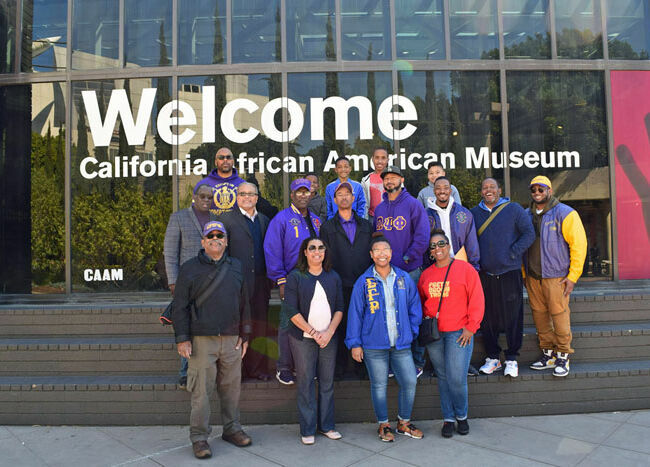 On February 23, 2019, the brothers of Tau Tau Chapter of Omega Psi Phi Fraternity, Inc. hosted their annual Black History Month Program at the California African American Museum. The California African American Museum (CAAM) is a museum located in Exposition Park (600 State Dr.), Los Angeles, California 90037. 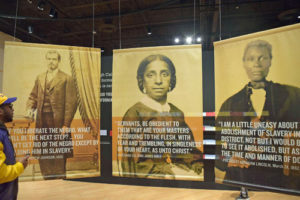 The Museum focuses on enrichment and education on the cultural heritage and history of African Americans with a focus on California and western United States. During this event all attendees toured the museum. Snacks were provided and all parties enjoyed themselves. 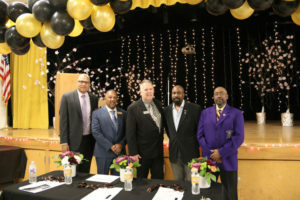 On February 10, 2019, Southern California Chapters Tau Tau, Rho Iota Iota, Phi Beta Beta, and Omicron Mu sponsored a talent hunt. This event took place at Crozier Middle School, located at 120 W. Regent Street, Inglewood, Ca 90301. 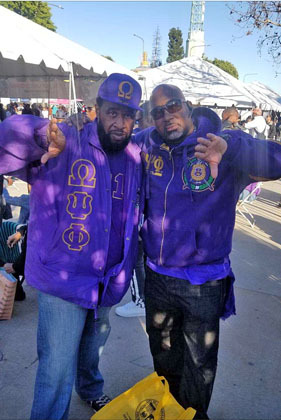 This event was a success thanks to the efforts of all four Southern California Chapters of Omega Psi Phi Fraternity, Inc., celebrity judge Kris Lofton (from the TV show “Ballers”), Sgt. Tiffany Ayers (LAPD), Dr. Charles Turner (Crozier music teacher), and host Brother Milan Ayers. This program and many before it have touched thousands of students, many of whom have gone on to make outstanding contributions to their communities and our world. Many have earned scholarships, awards, and recognition through exposure from this program. It is our quest as Omega men of substance to continue to grow in our unyielding commitment to support our youth. 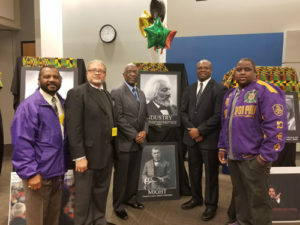 (Left-to-Right) Brothers E. Conner, C. Hart, R. Brooks, Dr. D. Brown, and D. Rice. 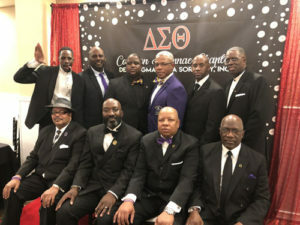 On February 8, 2019, Brothers from Tau Tau Chapter of Omega Psi Fraternity, Inc., attended the “28th Annual African Heritage Student Scholarship Awards”. This event took place at the Los Angeles County Office of Education, located in Downey, CA. 90242. During this luncheon male educators were honored. (Left-to-Right) – Dr. Charles Newman – Assistant Superintendent PUHSD, Grant Bennett – Superintendent PUHSD, Anthony T. Stafford Sr. – PUHSD Trustee Area 2, Brother Rodney Jones – Tau Tau Chapter – Omega Mentor, and Brother Paul Hodson – Tau Tau Chapter – Photographer. 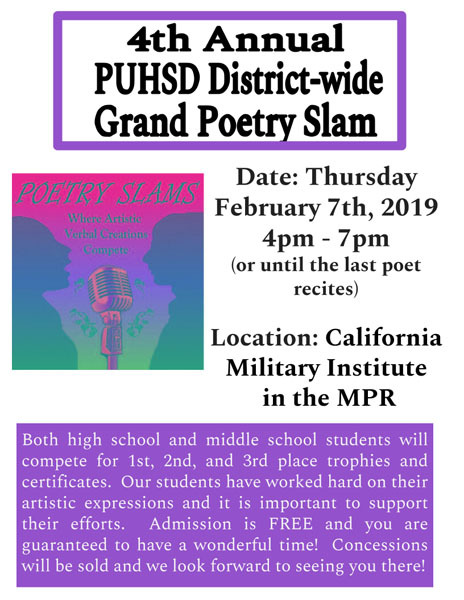 On February 7, 2019, Brothers from Tau Tau Chapter of Omega Psi Fraternity, Inc., provided assistance and support for PUHSD Grand Poetry Slam, which took place at the “California Military Institute” (CMI), located at 755 North A Street, Perris, Ca 92570. CMI’s mission is to ensure African American student’s success by identifying challenges that impede achievement, while empowering, supporting and serving students, parents, educators, and the community through actionable strategies and solution. CMI has supported Tau Tau Chapter during OEF, YLC, and Fatherhood Initiative Programs. 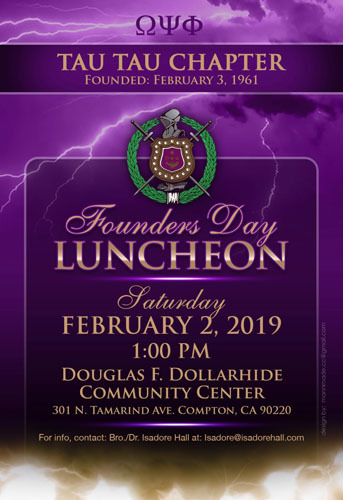 On February 2, 2019, Brothers from Tau Tau Chapter held it’s “Founders Day Luncheon”. This event took place at Douglas F. Dollarhide Community Center, located at 301 N. Tamarind Ave., Compton, Ca 90220. Brother and Dr. Isadore Hall introduced the following Brothers and honored guest; Tau Tau Chapter Founder Dr. Thomas Gipson, 1st VGB Ricky Lewis, 12th District Officers – District Representative – Brother Dennis Martinez, District Keeper of Records and Seal – Brother Ronin Hill, 12th District Chaplin – Brother Michael Brown, Rev. and Chaplin Terrell Taylor, Tau Tau Basileus – Brother Rodney Brooks, and Tau Tau Past Basileus and Area Representative – Brother Ed Young. In addition to speaking, many of the aforementioned Brothers received Chapter, District and International awards. 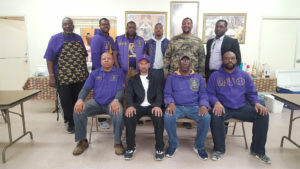 Tau Tau Chapter continues to make concerted efforts to retain active Brothers and return inactive brothers to full participatory status so they may enjoy the full benefits of Omega. 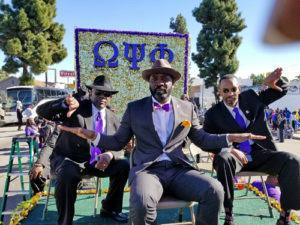 On January 21, 2019, Mighty Tau Tau Chapter of Omega Psi Phi Fraternity, Inc. participated in the 34rd National Holiday for Dr. Martin Luther King Jr. via the LA Kingdom Day Parade. The Parade theme this year was “Healthy Bodies-Healthy Minds-Healthy Nations”. This Parade took place at Western Ave/King with a live broadcast from KABC-TV. 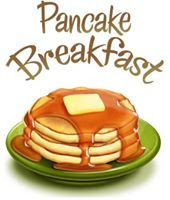 On December 12, 2019, Brothers from Tau Tau Chapter attended the “1st Annual Reclamation and Retention Pancake Breakfast”. This event took place at 1110 N. Dwight Ave., Compton, Ca 90022.